Will Vertical Search threaten Google? Vertical search is the new breed of Search Engines that more intelligently mine data, from searching for keywords in audio files to focusing on specific industry sectors. The landscape of Search is changing and I recently noticed three vertical search applications, which may end up threatening Google’s position. The first application, is run by a company known as pluggd.tv, who’s core business is essentially providing a search engine for podcasts. The search engine works by using a patent-pending heatmap technology, which guides users to the content topics that they wish to see or hear. For instance, if you click on the demo video on the front page of pluggd.tv, and search for the term ‘Google’ it will highlight all the areas where Google is spoken about on the video timeline. Meanwhile, the colour scale on the timeline uses heatmap technology to highlight other words that may also be relevant in the video. In this example, some other words are highlighted as possibly relevant are ‘YouTube’ and ‘internet’. A true innovation in search technology. Pluggd was founded by Alex Castro who at Microsoft was formerly the Group Program Manager for the MSN Entertainment unit, which included the MSN Music, Video, Movies, and TV websites. The second application is Farecast.com, the travel-based search engine focused on airline tickets. The clever bit comes from applying the idea of the stock market to buying the tickets, which helps you decide the best time to buy a ticket. For example, if you are looking to buy a ticket from New York to Boston (UK cities are coming) then Farecast will display a graph of all the current prices, and the added benefit of showing you if current prices for tickets are rising or falling. A very neat bit of technology for the thousands of price-sensitive surfers. Hugh Crean is the CEO of Farecast, who previously had a high flying career at Priceline.com where he was their Vice President of Product Development. Other notable positions he has held are with DLJ, Viacom, and AC Nielsen/Dun & Bradstreet. The whole world of electronics is confusing enough but this is the only search engine I can find that organises and categorises the data in a sensible way. As you can see, the landscape for search is changing and there are some very high flying entrepreneurs entering this market place. This does seem to pose a threat to Google, however, there will always be a trade-off between generic and specialised applications for search. Indeed, we may soon use a new breed of search engines, get fed up with the vast range in years to come, and move full circle back to single platforms like Google. Who knows? As a boy I used to love two types of shops: toy stores, especially those with vast stocks of Lego, and stationery retailers, in which I could lose myself for hours. The latter remains a weird affliction that I don’t yet know the name for. 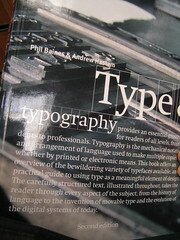 While I’m not a designer by trade I’ve always loved a good font and appreciate great typography. In an online environment it is often the difference between a good site and a great site, since it is a major part of a website’s visual appeal. Some say that web design is 95% typography. I’m not sure I’d go quite that far, but I do believe that it can help improve the user experience, that it can help persuade visitors to interact and take action, and that as such you should ask yourself whether your site needs a makeover in this department? I’ve been working on a new website and have done a lot of research in this area. It is so hard to get wrong, and I’m not yet sure that I’ll get it right, but I’ve collated this list from a bunch of my recent bookmarks and thought it would be a good idea to aggregate and share them. Providing web shoppers with bad quality recommendations could be worse than offering no recommendations at all, according to a new survey. Conducted by online research provider MarketTools, the study claims four in ten shoppers are less willing to return to sites that suggest non-personalised products or items they already own. “Entrepreneurs Discover Digital Spending Isn’t an Infinite Quantity” .